From Goodreads: When Joe’s doctor advises him to get his affairs in order, he faces two choices: leave this world full of regrets, or seek forgiveness for a life unlived. An unexpected thing happens on Joe’s path to redemption. He meets Rebecca, a young, single mother struggling with guilt over the death of her own mother. They soon come to realize that the other may hold the key to forgiveness and salvation — if they can muster the courage to trust one another. This relatively short read takes an in-depth look at one man’s life once an end date is unceremoniously stamped upon it. Like Queen Latifah in Last Holiday, Joe has just learned that he is going to die. But unlike the comedic movie, Joe does not have a happy ending—there is no mistake made here. Suffering from pancreatic cancer, he is instructed to get his affairs in order, sending him on a spiraling journey that surveys his contributions to the world, or lack thereof. 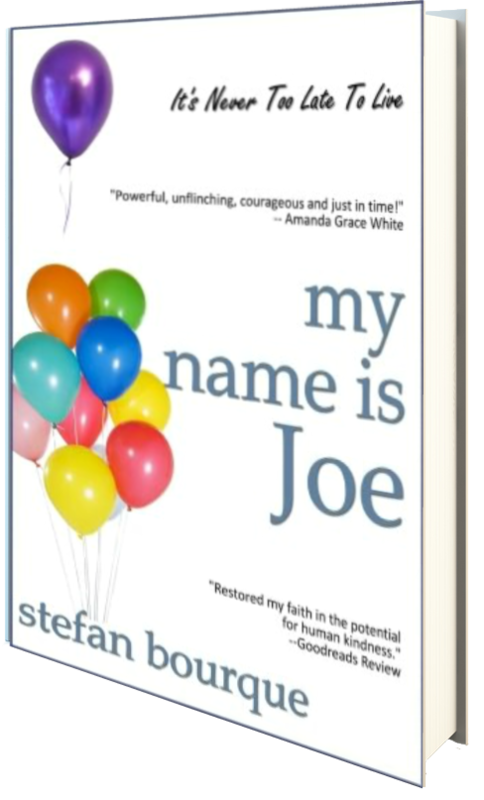 Compelled to reminisce about his past as he looks bleakly at his short future, Joe begins to assess his life and make amends, learning to finally live in a world he has for so long allowed to pass him by. While this is a somewhat depressing look at the end of one man’s life, it is also an inspirational one—powerful in that it lays his soul bare and allows him to finally experience all that he never knew he missed. With the help of a good-hearted, young, single mother, Joe learns what truly matters in life and no longer has to face death alone. And while readers already know what the end of this tale will hold, it’s a touching look at the human spirit that, though tears are shed, will leave readers feeling triumphant. Four stars.